奧克斯納市(Oxnard)為加州著名的草莓之鄉以及雪豆之鄉, 也是南加州重要的農業城市. 奧克斯納市本身也是加州范杜拉縣(Ventura County)第一大城, 也是加州第十九大城, 人口約有十九萬八千人. 另外奧克斯納市還是南加重要的交通樞紐, 匯集了鐵路Amtrak, Union Pacific, Metrolink和長途巴士灰狗巴士和Intercalifornia. 奧克斯納市所在的奧克斯納平原(Oxnard Plain)以草莓著名. 由美國農業部統計, 奧克斯納是加州生產最多的地區, 佔全加州草莓產量的三分之一. 草莓出產季節從十二月中開始一直到隔年七月中, 並以四月到六月為出產旺季, 於旺季時每天可運出一千萬盒草莓. 加州本身也供應全美國百分之八十五的草莓, 而美國則提供全世界四分之一的草莓產量. 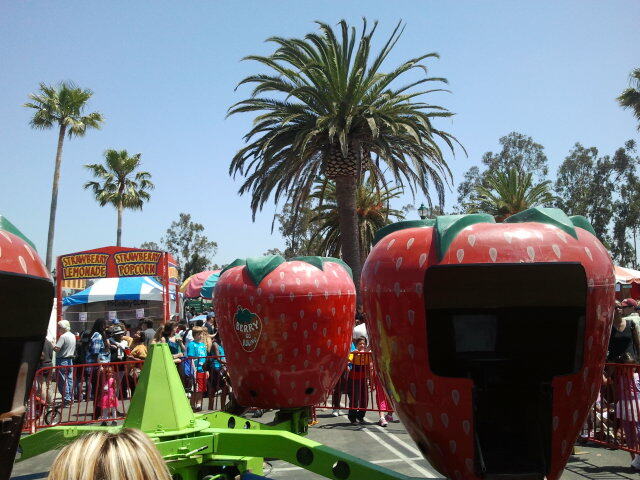 每年夏天時奧克斯納市於奧克斯納學院(Oxnard College)舉辦加州草莓節(California Strawberry Festival), 遊客可以品嚐以草莓做成的各樣食物如草莓墨西哥餅, 草莓披薩, 草莓聖代, 草莓蛋糕和草莓香檳. 除了草莓之外, 奧克斯納市還擁有20英哩長的海岸線, 而奧克斯納市的海灘並以細沙聞名. 奧克斯納市海邊的沙丘也常被用來當作電影裡的中東地區沙漠的場景. 奧克斯納市的沙灘很少有漂流木和石頭, 不過有些海灘有危險暗流. 另外奧克斯納市的沙灘有世界級的衝浪地形, 常常吸引許多當地衝浪客. 奧克斯納市的海灘包括: Mugu Rock State Beach, Ormond Beach, Hueneme Beach, Silver Strand Beach, 好萊塢海灘(Hollywood Beach), 海濱好萊塢(Hollywood-By-the-Sea), Mandalay Beach, 奧克斯納州立海灘(Oxnard State Beach), 奧克斯納海灘(Oxnard Shores), 第五街海灘(5th Street Beach), McGrath State Beach 和出海口海灘(Rivermouth Beach). 卡內基美術館(Carnegie Art Museum): 424 South C St. 為美國鋼鐵大王安德魯·卡內基所創立, 以展示加州當地藝術品為主. 錢德勒運輸及野生動物博物館(Chandler Vintage Museum of Transportation and Wildlife): 1421 Emerson Ave. 展示古董車. 莫菲汽車博物館(Murphy Auto Museum): 2230 Statham Blvd. 展示各樣古董車. 歷史遺產廣場(The Heritage Square): 7th St. & South A St. 奧克斯納早期拓荒者所住的維多利亞式建築. 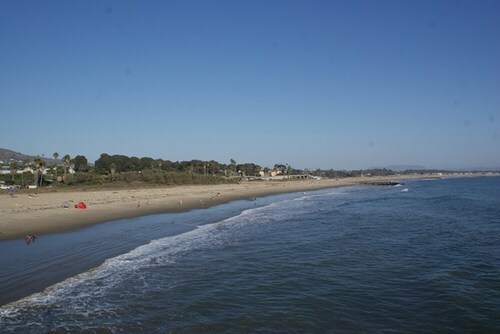 范杜拉縣海事博物館(Ventura County Maritime Museum): 2731 Victoria Ave. 收藏許多舊式帆船模型. 奧克斯納歷史區(The Henry T. Oxnard Historic District): 以F和G街為主. 赫所格酒廠(Herzog Winery and wine cellar): 3201 Camino Del Sol. 有全美國最大的蔻修葡萄酒(kosher wines)收藏. 西比博物館(Seabee Museum): 100 23rd Ave, Port Hueneme. 介紹SEEBEE, 美國海軍建造單位. 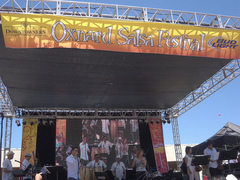 奧克斯納表演藝術中心(The Oxnard Performing Arts and Convention Center): 251 South C St. 為奧克斯納獨立電影節(Oxnard Independent Film Festival)和錢諾群島帆船節的場地(Channel Islands Tall Ships Festival). 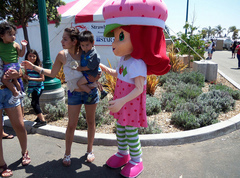 加州草莓嘉年華(California Strawberry Festival): 3250 South Rose Ave. 5/19-20 舉行. 各項草莓做成食物和活動.